A Belgian driver is set to travel all the way from Paisley to Monaco in the 2016 Monte Carlo Classic Rally behind the wheel of a London taxi. 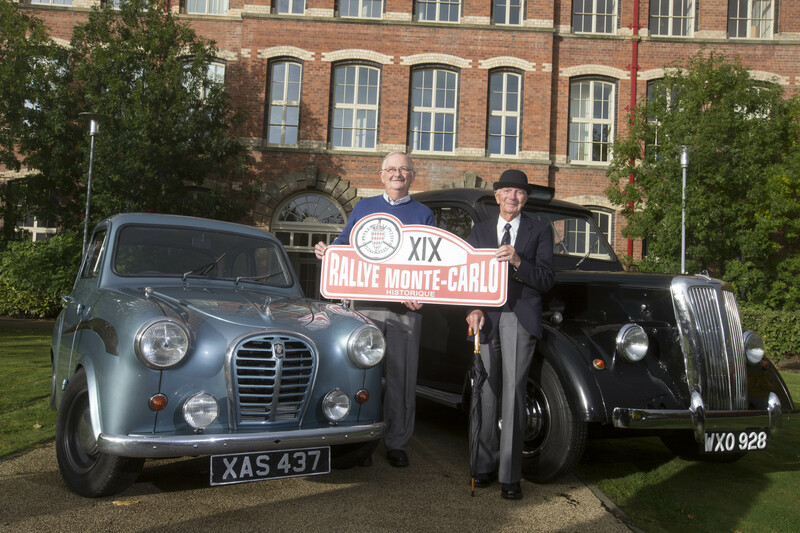 Jean-Marie Herman (64) will set the meter of his 1950s Austin FX3 running at Paisley Abbey and hopes to still be going 2800km later, at the sun-kissed casino town of Monte Carlo. The audacious bid will retell one of the most colourful stories of the rally’s 105 year history and will put the UK starting city of Paisley in the spotlight on January 27th. Back in 1961, ex F1 driver Tony Brooks and navigator Willy Cave piloted the same make of London cab from Scotland to the Riviera, capturing media attention across Europe. That car was sponsored by BBC Sportsview and Belgian Jean-Marie researched the story before purchasing an exact replica in Germany three years ago for 4000 Euros. Since then, he has been modifying the car to meet official regulations and is delighted to be entering his very first Monte Carlo Classic Rally, from Paisley. 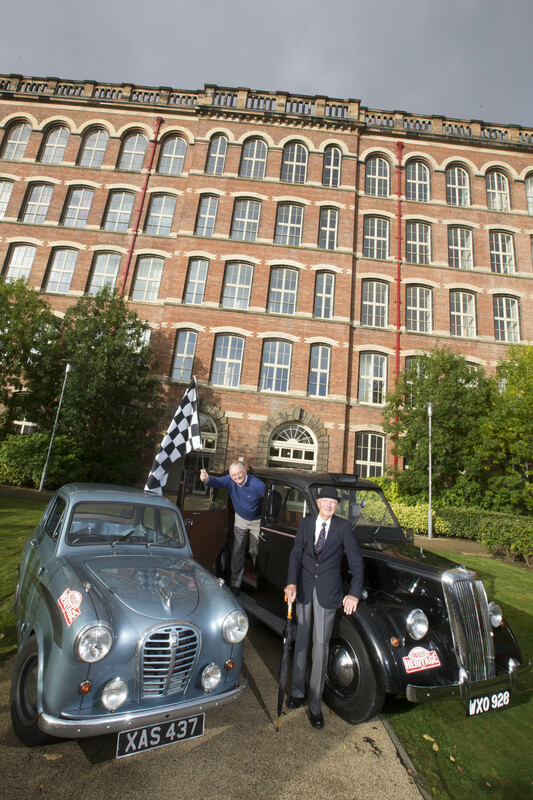 Speaking at the official launch of the 2016 rally at Paisley’s Anchor Mills, he said: “This is one of the most famous motoring events in the world and I hope the people of Scotland and the photographers will enjoy seeing the car when we leave Paisley Abbey. “I gathered as much information online about the London taxi from 1961 and looked at the regulations to see what would comply with the rules for 2016. “It was not too expensive to buy the exact replica in Europe but the restoration has cost quite a bit. The car is nearly ready now and I only need to attach all the rally-specific additions and the taxi meter! Also in attendance at the launch was legendary navigator from 1961, Willy Cave, who recalls the frenzy the original London taxi caused back in the sixties. Cave, now 88, is still navigating and has entries secured for the next two Monte Carlo Classic rallies, which will take him beyond his 90th birthday. “I think it is great what Jean-Marie is doing and I hope he does as well as we were doing in the 1961 rally before we had to stop to do some BBC filming work,” said Cave, who will start the rally this year from Reims. “When we entered the taxi, it was quite controversial in some quarters. One of the motoring journalists of the time suggested it was an unpopular move- that could not have been further from the truth. Around 70 classic cars will go over the start ramp in Paisley on January 27th, with crowds of between 5000 and 10 000 spectators expected to wave the competitors off. Paisley joins Oslo, Reims, Bad Homburg and Barcelona as one of the official start points. Councillor Mark Macmillan, Renfrewshire Council leader, added: “I would like to wish all the best to Jean-Marie and Willy ahead of their rally entries – great stories like this are what make the Monte such an utterly special event. “We are delighted to be hosting the Rally here in Paisley for the third year in a row and we look forward to welcoming another big crowd in January.